Getting international missed calls ? From past couple of months I am getting some international missed calls from different numbers. These calls are really irritating me when my cell rings midnight /dawn time. I read different articles on web regarding these kind of calls & conclusion on this activity is fraudsters trying to gain access about the personal details. These stupid calls attracts by saying your mobile number won blah..blah amount of lottery etc. Don't get trapped & don't respond or call back to these numbers & be extremely cautious. MS announces Windows Phone 8 Update 3 which supports higher and bigger resolution screens as well as more powerful hardware. For more info. lets have a look Windows Phone Blog. 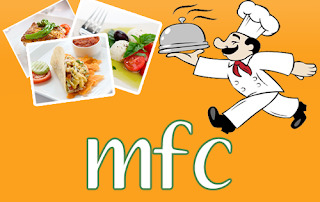 I'd like to compliment Mera Food Choice for the excellent service they provided me last week. Mera Food Choice helped me to sort out my food choice while travelling.Mera Food Choice service and ability to get deliver ordered food quickly that exceeded my expectations. This is great news for Indian food lovers. Such a commitment to great food providing service is to be commended. I will continue to order my foodie with Mera Food Choice. Mera Food Choice is working for basically making tie up and chain link and does becoming platform between consumer/food lovers and veg food providers.It will make easy to get food of choice at the projected/tasked place, be whether via Train, Road or be at office,garden or at home. And accordingly Mera Food Choice is trying to make chain of such food providers / outlets to get the concerned consumers food of their choice to be available/provided though phone/mobile/internet by call/ correspondences inclusive of emails, sms, web etc. Advanced filtering & call block features available. Mohsin Shaikh is a computer science graduate, holding master degree in computer applications. Presently working as a Senior Software Engineer in a private organisation located in Silicon Valley(Bangalore) , India. One experience with MSDN forums for Windows Mobile development. Mohzz 2011. Simple theme. Powered by Blogger.